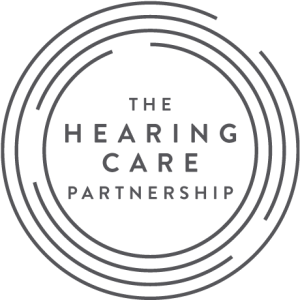 Morgan Optometry are delighted to be working with The Hearing Care Partnership to provide a full hearing service from within our practice each Friday. Our fully qualified audiologist offers a range of hearing services, including free hearing tests, hearing aids, ear wax removal, tinnitus consultations and hearing protection. All hearing tests with The Hearing Care Partnership are carried out by our professional audiologist and are completely free of charge. Whether you would like a quick hearing check or a full hearing assessment, our expert is here to help you learn more about your hearing health. Should your audiologist suggest that hearing aids may help you make the most of your hearing, The Hearing Care Partnership provides a wide range of the very latest hearing aid technology. Banish all thoughts of the bulky beige plastic of years gone by – modern hearing aids are discreet technological marvels that can even work with your smartphone. Ear wax is removed using the latest, safest methods that are best suited to your needs, which will depend on the level of wax build-up and any pre-existing conditions. Earwax usually falls out on its own. If it doesn’t and blocks your ear, put 2 to 3 drops of olive or almond oil in your ear twice a day for a few days. Over 2 weeks lumps of earwax should fall out of your ear, especially at night when you’re lying down. Don’t use drops if you have a hole in your eardrum (a perforated eardrum). If your ear still feels blocked after 5 days, seek advice. While tinnitus cannot be “cured”, The Hearing Care Partnership offers free tinnitus consultations that can help you manage the condition. Whether you’d like some custom ear plugs for general use or specialist hearing protection for sports or music, The Hearing Care Partnership’s expert audiologist can help. You’ll find more information on all our hearing services here. Like us, The Hearing Care Partnership puts their patients first, making them the focus of everything they do. Together, we will look after your vision and hearing to help you live life to the full. To book an appointment with our audiologist, simply contact us.